benchdonkees: Next Sunday sees the return of the Del Rio Ramblers to the Royal Oak Ockbrook Derby, for the 4th Rock 'n' Roll alldayer. Bikes, cars, great beer, good food and proper music, see ya there!! 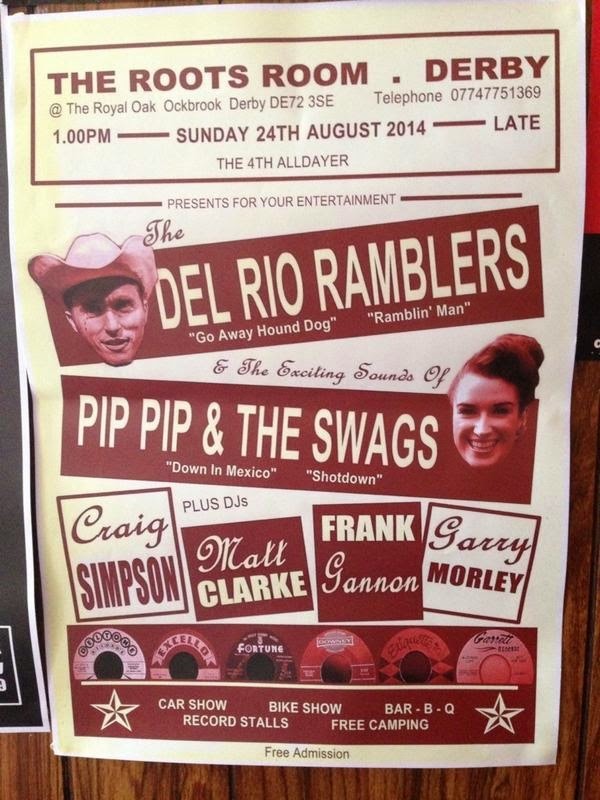 Next Sunday sees the return of the Del Rio Ramblers to the Royal Oak Ockbrook Derby, for the 4th Rock 'n' Roll alldayer. Bikes, cars, great beer, good food and proper music, see ya there! !